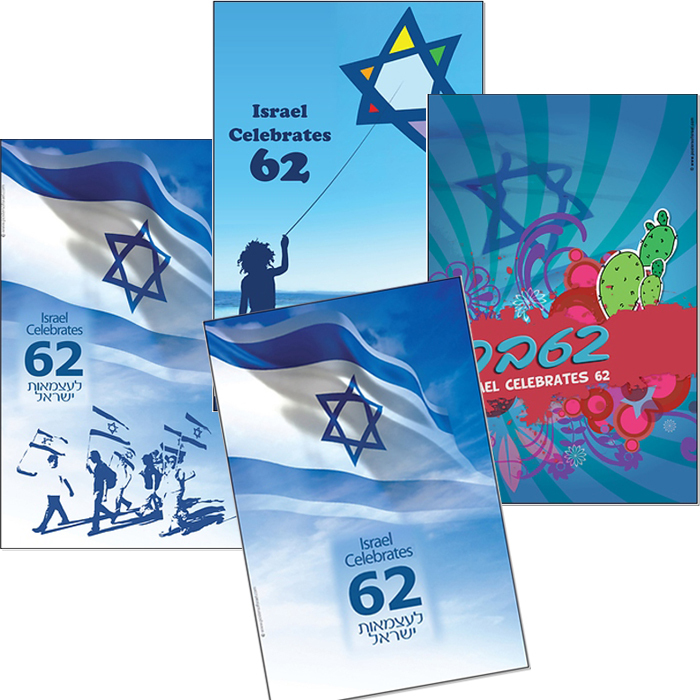 Recently released set of 4 posters celebrating Israel's 62nd Anniversary, delivered FREE! This series of posters work perfectly in any bedroom, Office or Classroom setting. Perfect for dressing up any wall, or instantly creating a theme for a room. Images look great on this high-quality poster, printed on heavyweight 7 mil semi-gloss paper using superior dye inks. Image size 16 X 20.